Associated with Egyptian Goddess Isis, Greek Goddess Aphrodite, Indian Goddess Lakshmi and the celestial planet Venus – Roses are an eternal symbol of Love & Beauty. Since ancient times its the muse of poets, storytellers, musicians, painters, photographers and mystics. Through words, art, songs and through myriad creative expressions, these artists have attempted to capture the lilting smell, the silky texture of its petals, the soft bud, the thorny stem and all its wonderful curves & contrasts. And yet; nothing compares to the feeling of holding an actual rose blossom in your hand – its fragility & fragrance instantly captures the heart. Roses are more than just objects of beauty – they have many healing, nurturing, wellness qualities which have made them indispensable to mankind. Since ancient times, rose water has been used in religious ceremonies & numerous spa rituals. Just a few drops of rose water are believed to purify the spaces they are sprinkled in and these are often used specifically in shrines as an offering to deities to please them and gain blessings for matters of the heart. Rose garlands are worn by priests and devotees, and roses are often placed near altars to magnify higher energies of love to all those who enter religious premises. Rose water is great for cleansing the skin after a hard day’s work and it also keeps skin toned & firm in the long run, naturally preventing signs of ageing. Rose petals are often just immersed in water bowls or bath used for foot therapies along with other ingredients as they are very cool & soothing in nature. Roses have a distinct fragrance which immediately revitalizes the senses. Its extracts are used in countless attars, perfumes, body washes, soaps, hair oils, bath salts, scrubs and many wellness recipes. It instantly evokes feelings of love, sensual pleasures & romance. 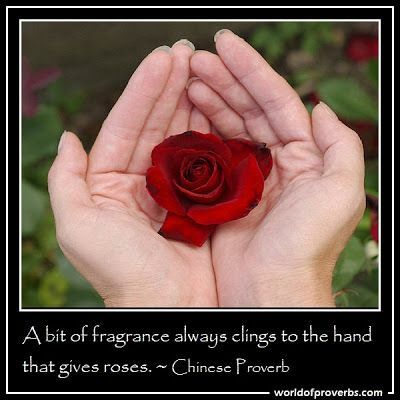 Anointing your candle with rose parfum or oil is believed to attract true love. Also apply a few drops on your pulse points and the heart chakra to experience amorous interludes with potential mates or your beloved. Rose extracts are also beneficial for health and used in many food & drink recipes. Sweets,cupcakes, tarts, desserts, ice-creams, squashes, herbal teas are some popular examples. Scientifically speaking, roses contain high amounts of Vitamin C, antioxidants, bioflavonoids and are believed to be natural anti-depressants, aphrodisiacs, digestive stimulants and great for regulating menstrual cycles in women. In many alchemical traditions especially Bach Flower remedies, wild roses are believed to cure apathy and evoke feelings of love and compassion in a stony or untrusting person with its lilting fragrance. It can help couples conceive and its one of the reasons why rose petals are often strewn over the bed of newly married couples and those on honeymoon. In pop culture and special days such as Valentine’s Day, roses are a popular gift with special symbolism associated with them. Yellow roses are for friendship, pink ones for affection, red roses for love & passion, white represent innocence & purity and orange/peach petals for energy & creativity. Whether its for your spaces, yourself, innovative recipes, for a lover or just for invoking Divine love energies, roses are sacred & special. The rose flower has many benefits for heart, mind, body and soul which make it indispensable in our lives. The article is very informative and also its good to have knowledge about it. As everyone gives the roses to someone special or have roses because they are beautiful but don’t know the reason behind this. Your article may help to know them about this. Thanks for sharing.